If you need help with a development campaign or fundraising effort, get hands-on training from the pros in a series of interactive modules. The workshops are designed by experienced professionals from the Association of Fundraising Professionals (AFP) to meet real world needs. The International Standard for training the fundraising novice, the AFP Fundamentals of Fundraising Course offers a complete overview of the development function, featuring the most current information and techniques. This 16-hour program includes case studies and projects for groups and individuals, making the learning experience both substantive and enjoyable. This intensive program will provide an overview of skills, techniques and program components for individuals with up to 4 years of fundraising experience. 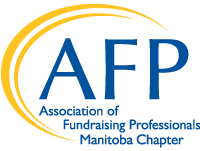 Full participation in the AFP Fundamentals of Fundraising Course is applicable for 16.0 points of CFRE Credit in Category 1.B – Education of the CFRE International application for initial certification and/or recertification. CLICK HERE FOR MORE INFORMATION ABOUT THE COURSE. Thank you for those who participated in the Course held September 14-16, 2018. Watch this space for information on future in-person courses.